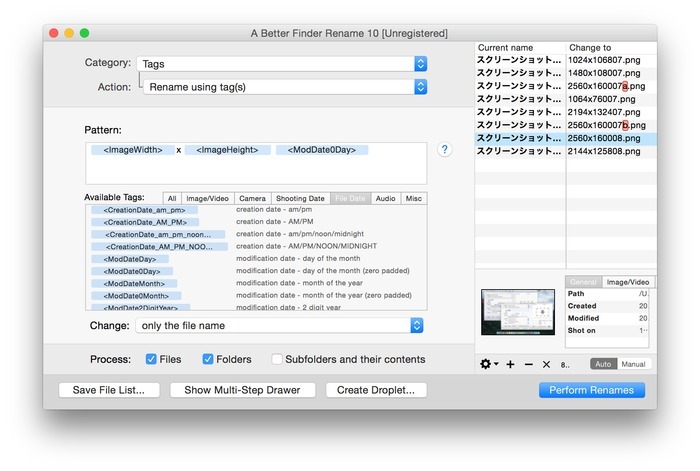 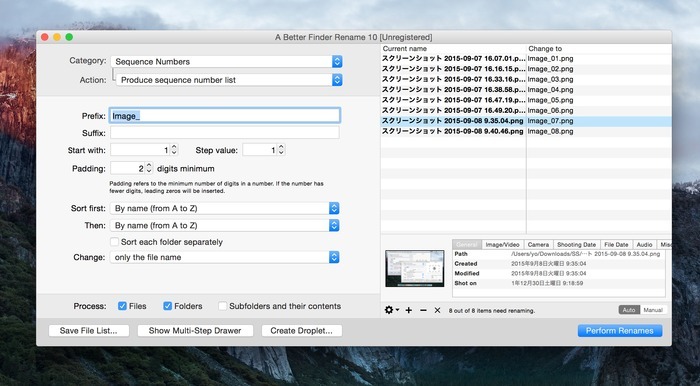 Mac用多機能ファイル・リネームアプリ「Better Rename」の次期バージョン「A Better Finder Rename 10」のベータ版が公開。 | AAPL Ch. 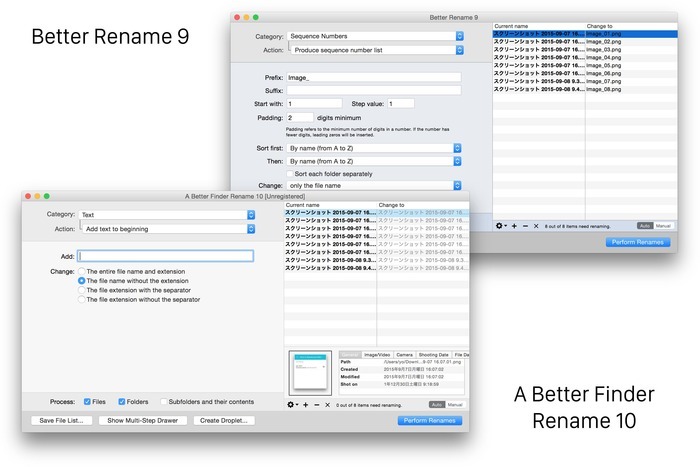 Version 10 takes the concept of an instant preview a step further, by not only previewing the “what” but also the “how” with our new context aware highlighting right within the preview list. This cuts down on trial and error and makes dialing in your actions much more intuitive and fun.